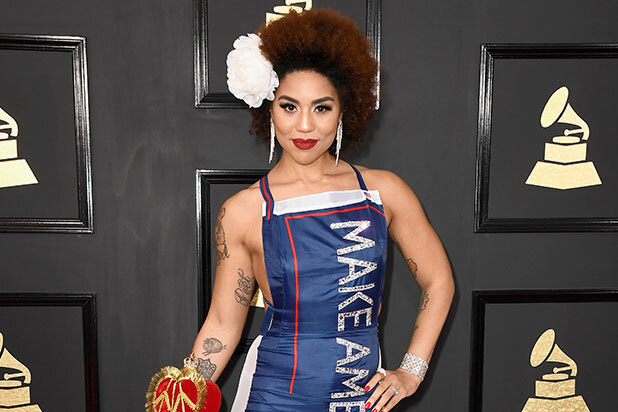 Singer Joy Villa decided to make a political statement at the Grammys on Sunday — she wore a “Make America Great Again” dress. 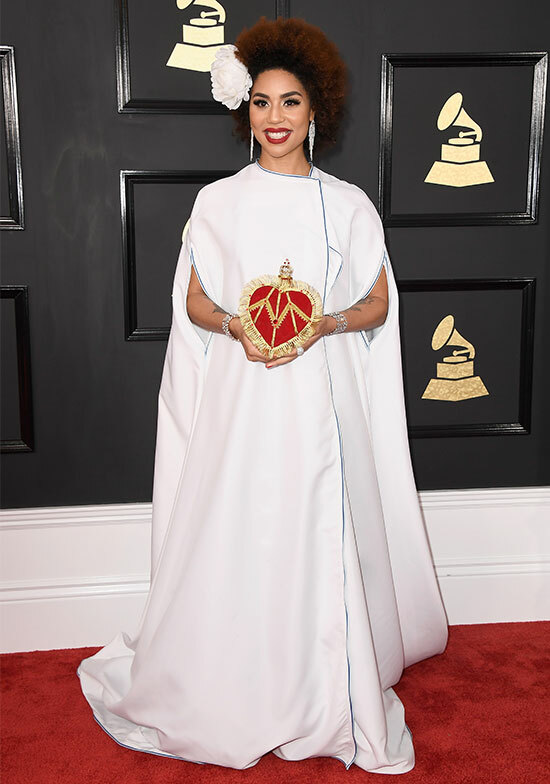 The performer walked on the red carpet outside of Los Angeles’ Staples Center wearing a white cape and a heart-shaped bag. She then took off the cape to reveal a form-fitting blue dress with Donald Trump’s signature slogan on it. And the back of her dress bore the word “TRUMP” in sparking letters. The 25-year-old was not nominated at the 2017 Grammys. Her songs include “Empty” (2016), “Play” (2015) and “Get Your Freedom” (2014). The 59th annual Grammy Awards are taking place at the Los Angeles’ Staples Center. Adele, The Weeknd, Carrie Underwood and Katy Perry are set to perform during the award show. 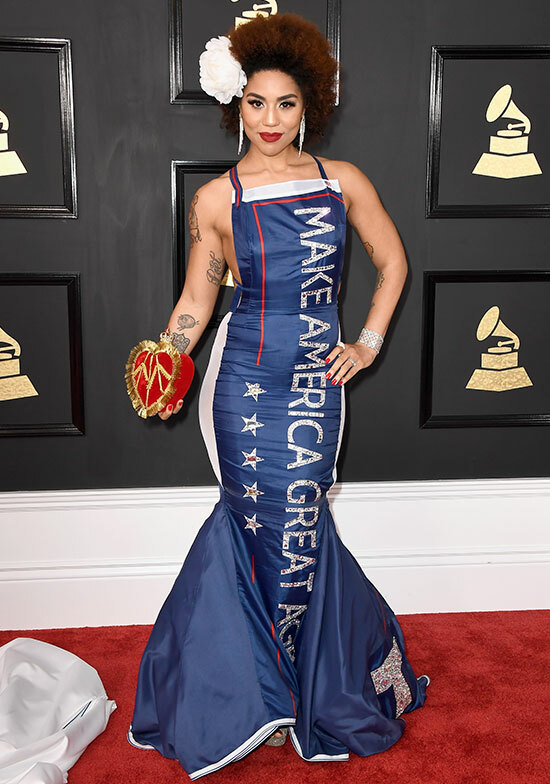 Many left-leaning artists were planning to make political statements at the Grammys, but few of them probably expected to see someone making an overly pro-Trump statement. See some reaction tweets below.